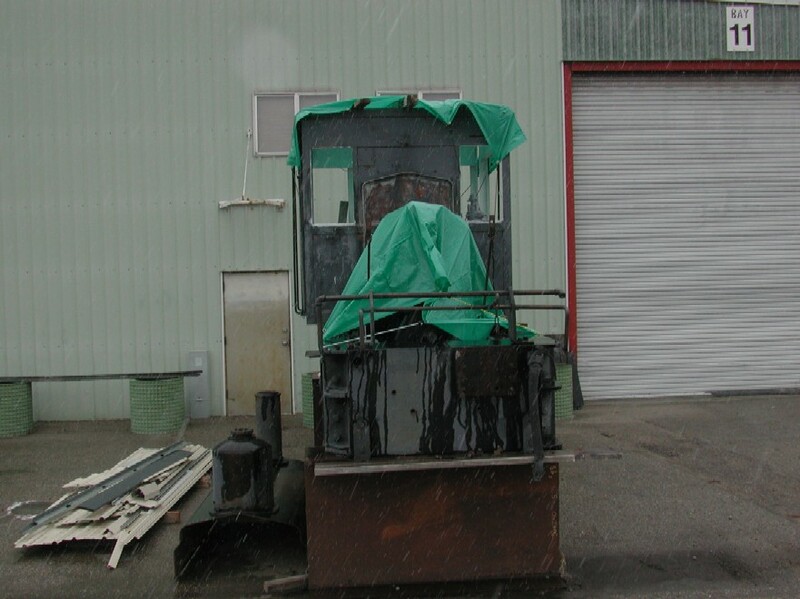 On March, 3rd 2001 the first work party was held at Yanke Machine shop to start the restoration work on narrow gauge locomotive #100. 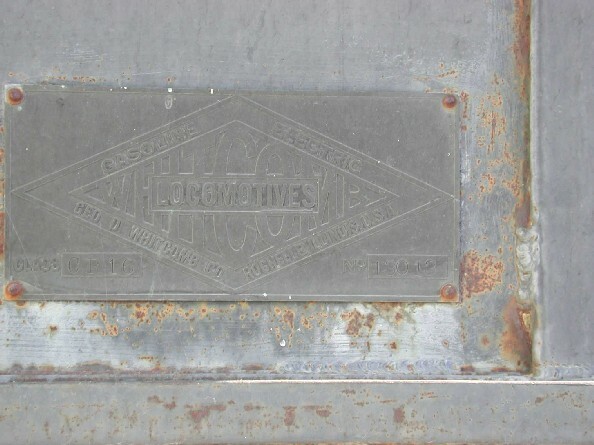 This locomotive is a Whitcomb locomotive built in 1929 (serial #13013). 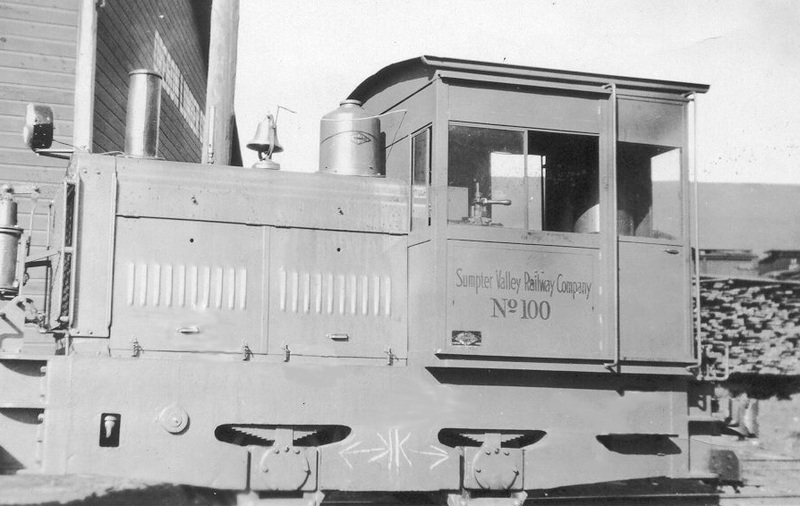 Locomotive #100 was bought brand new for the Sumpter Valley Railway in 1930. 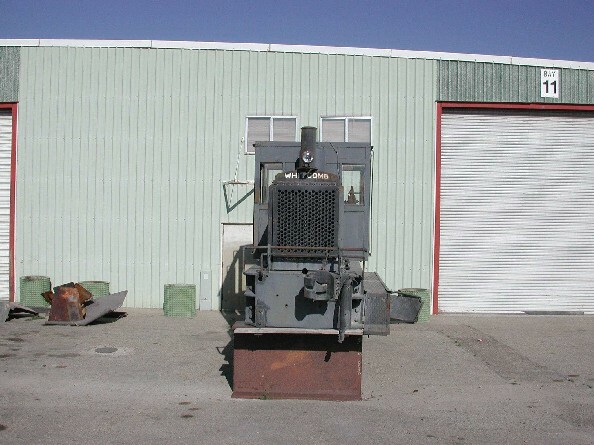 At some point in time #100 was sold to the J.R. Simplot corporation in Idaho and converted to standard gauge. 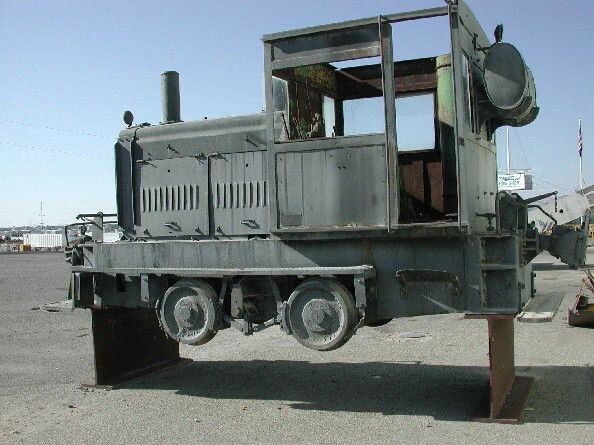 According to our current information there was reports of seeing this locomotive in service at the J.R. Simplot plant in Caldwell, Idaho in the mid 1980's. 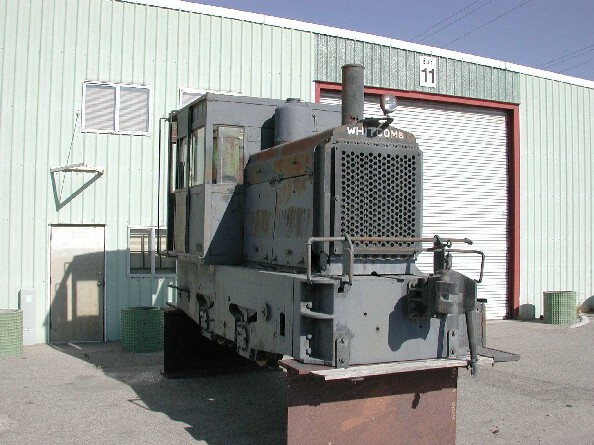 If anyone has any more detailed or additional information on this locomotive please let me know. Current photos of #100, taken on August, 2006. Note new coupler pockets and finished interior also! 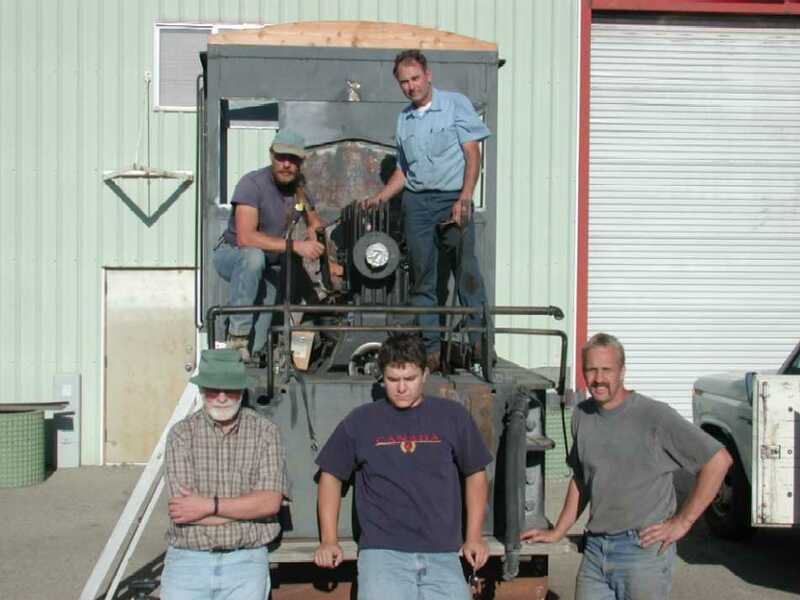 Sumpter Valley #100 restoration team hard at work on August 8th 2002. 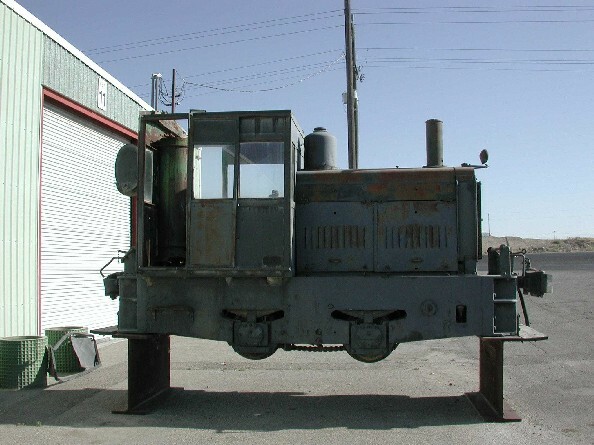 Pictures of SVRY #100 after arrival at Yanke machine shop in Boise, Idaho. 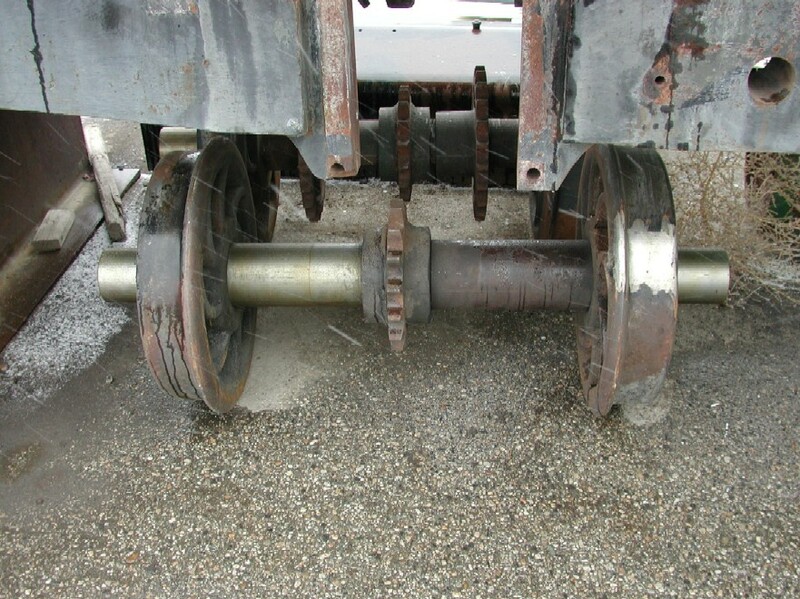 Below are some pictures of the 2nd work party held on March 17, 2001 - Work performed was general clean up of engine/cab, draining of oil, and draining of transmission fluid. 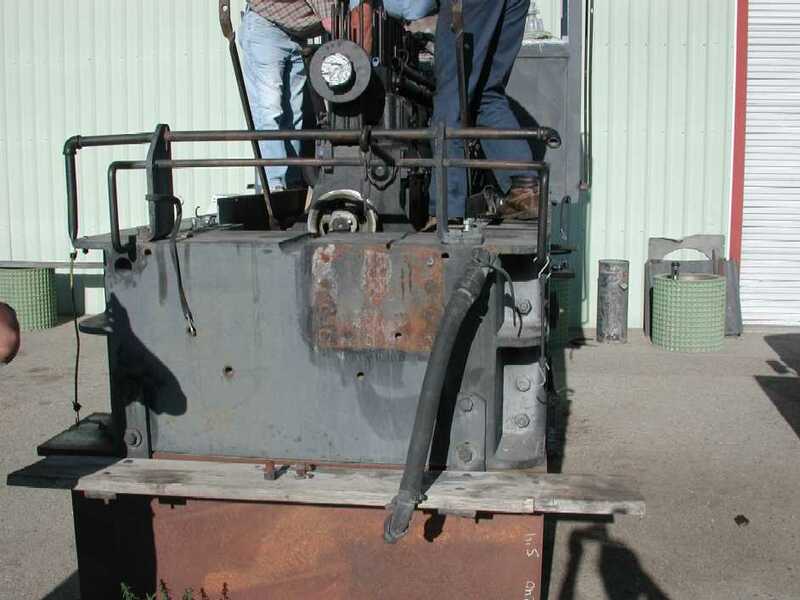 Below are some pictures of the 3rd work party held on March 31st, 2001 - Work performed was removal of air compressor and main air tank, removal of engine water pump, removal of carburetors, removal of batteries and freeing up the transmission. Air compressor location after removal of compressor - really needs a steam clean job! Air compressor ready to be hauled away. The compressor seemed to be in real good shape and turned over by hand after being removed. 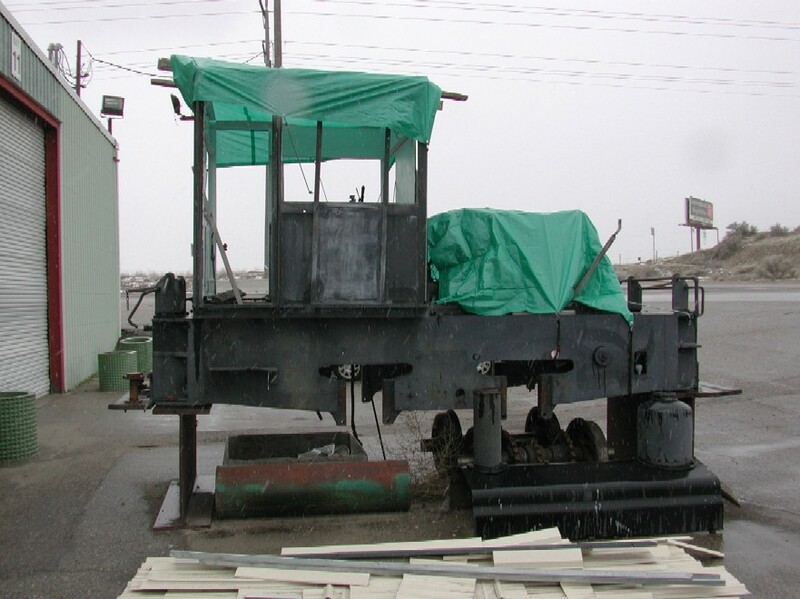 Below are some pictures of the 4th work party held on April 14, 2001 - Work performed was steam cleaning of engine, removing cab floor boards and working on clutch. A couple of eager workers! Steam cleaning the cab out. Steam cleaning of engine area. Another view of interior after cleaning. A good view of the electrical system on this locomotive. It looks to be highly modified from the original setup. Yes we can now confirm it is a Climax engine! 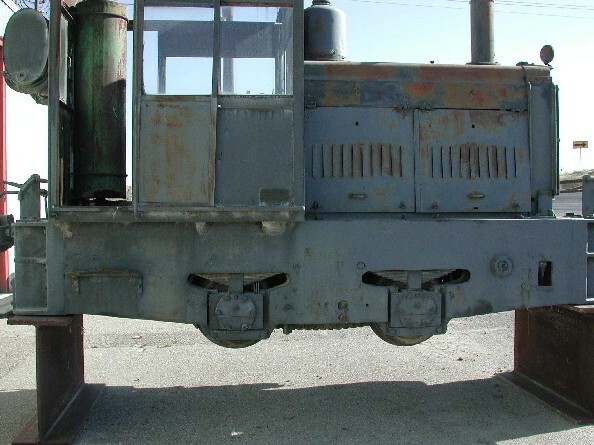 This engine had a wood beam supported cab floor and wood paneled interior, something you do not see in most diesel or gasoline engines! 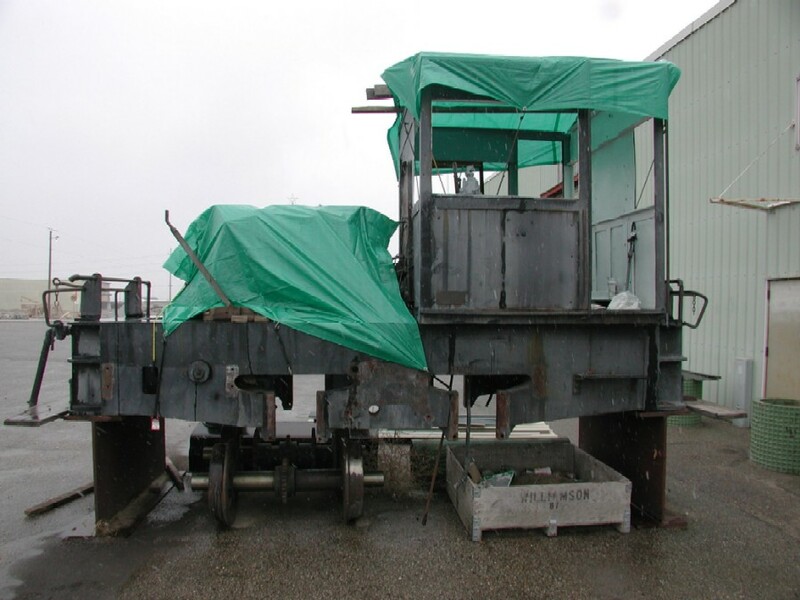 The most recent work party was held on April 28, 2001 - work performed was further clean up of engine, testing of brake system, and removal of coupler pockets. Rebuilt and painted air compressor ready for reinstallation in locomotive. Another view of the rebuilt air compressor. A close up of the electrical ignition system. Another view of the electrical ignition system. 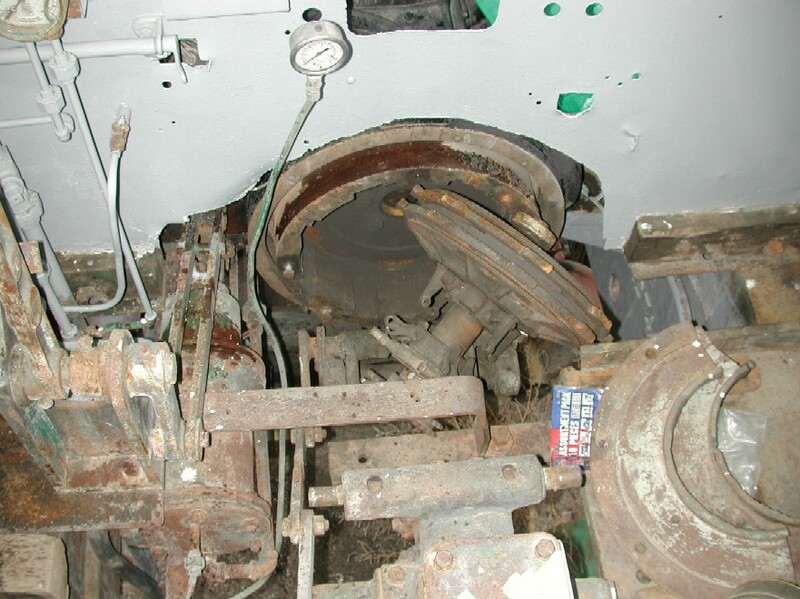 Air brake controls in cab of locomotive. 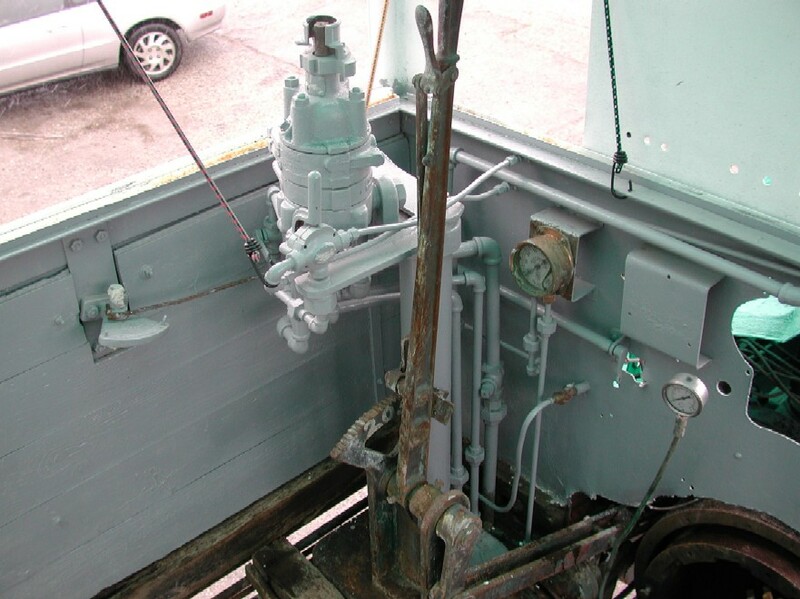 This is a westinghouse automatic air brake control model H6 with a 6C air charging system..
Another view of air brake. The brakes were tested with air and did work! However, due to some minor leaks new gaskets will need to be installed. 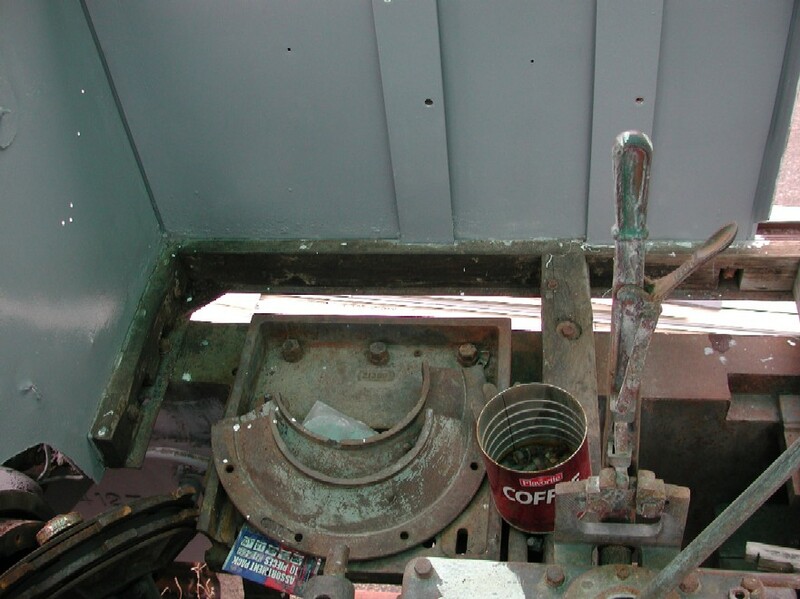 Removal of front coupler and pocket. Removal of rear coupler and pocket. Heads are off the engine. Engine is being cleaned up, painted and repaired from the many years of neglect. Still plenty of work to do.